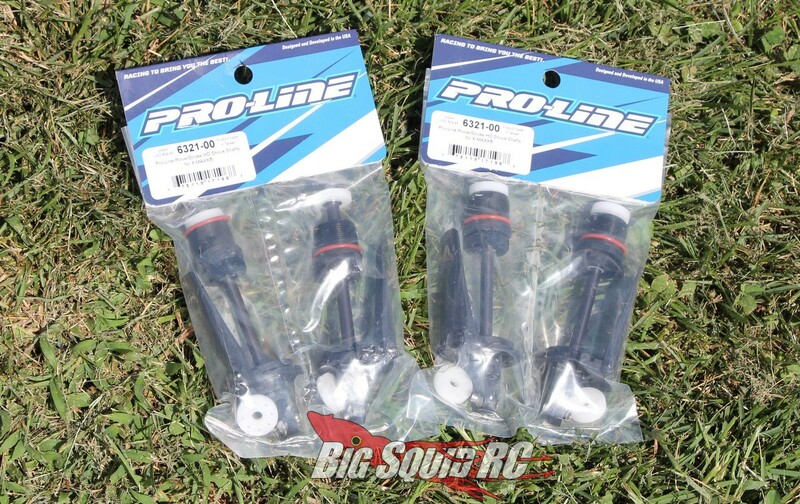 Product Spotlight – Pro-Line PowerStroke HD Shock Shafts for X-MAXX « Big Squid RC – RC Car and Truck News, Reviews, Videos, and More! 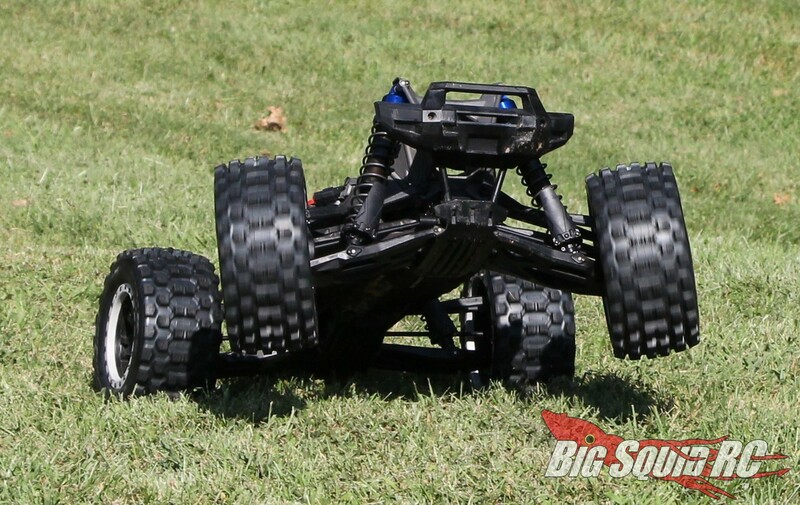 The Traxxas X-Maxx burst onto the scene with its huge size and monster truck attitude not all that long ago. 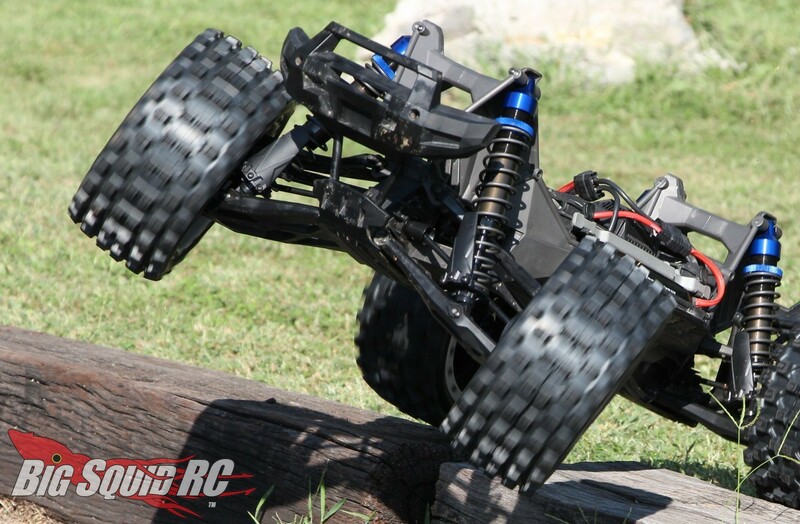 While the X-Maxx is a solid basher, we are always looking for ways to beef up our test fleet. This is where we enter the crew from Pro-Line. 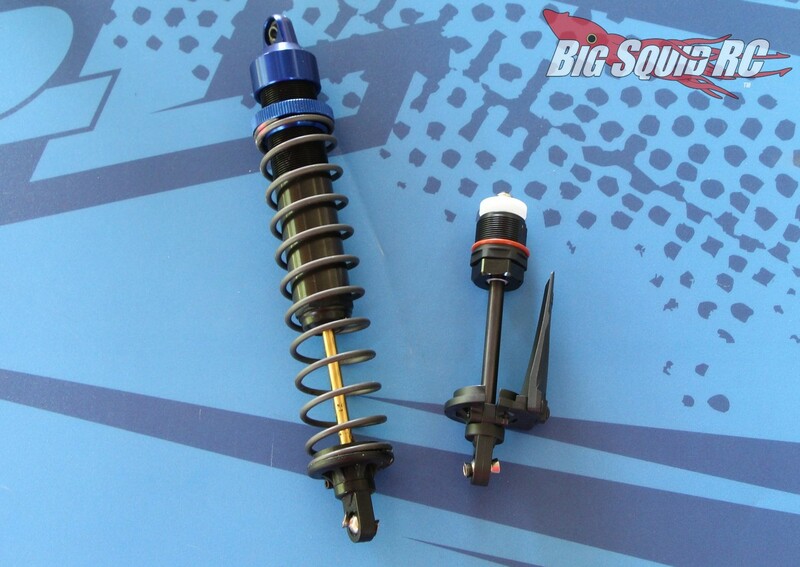 They set out to design the ultimate upgrade shock shafts for the Traxxas X-Maxx. The P-L PowerStroke HD Shock Shafts are beefier than the stock shafts and feature an exotic coating that promises an ultra-smooth stroke. 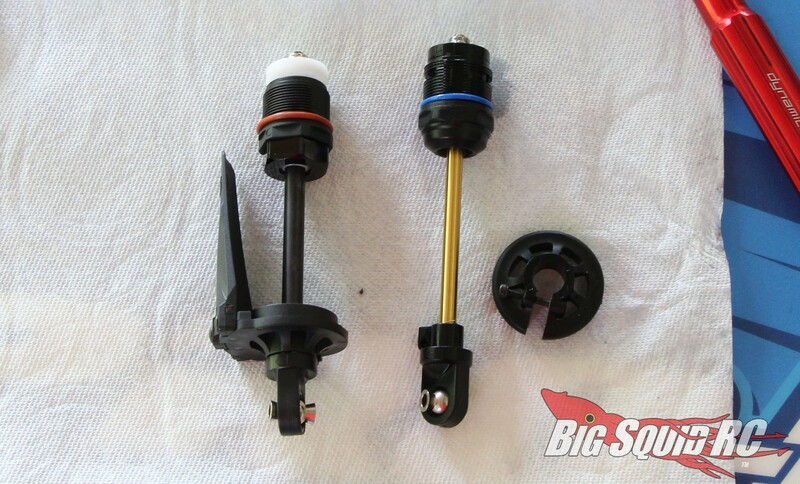 Set-Up And Install Notes- We found installing the P-L shock shafts very simple. 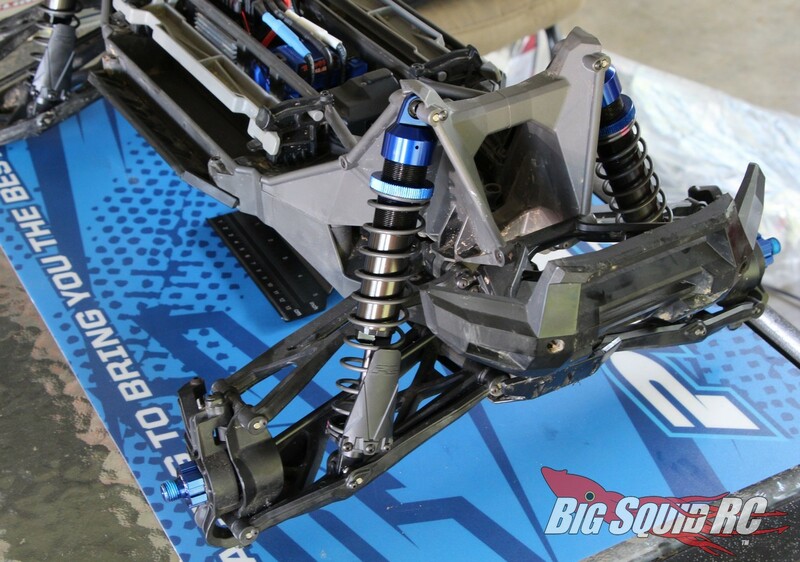 We removed all four shocks from our X-Maxx, unscrewed the stock units, then screwed back on the Pro-Lines. We may have spent 30 minutes switching things out and installing fresh shock oil, but the process could be done much more quickly. You won’t need much in the way of tools, but a 2.0 hex will be needed to get the shocks off the truck, and perhaps a pair of pliers to tighten the bottom caps to the shock bodies. Also, one of the pistons had some excessive flash on it, but that was easily removed with a hobby knife. How They Drive- Freak’n Awesome! It felt like the included P-L shock pistons were fairly close to the stock units as far as compression/rebound damping was concerned. We ended up running 40 weight AE oil up front, with 45 in the rear, and that combo mated well with some heavier springs they we were already using on the truck. Giant, sky-shot landings were soaked up ridiculously well, but the shocks also did an outstanding job when blazing over rough ground at full scoot boogie. With the giant size of the X-Maxx, it was cool watching someone drive over rough ground with the Pro-Line shock upgrade- the truck seemed to float over all the nastiness below. A bone stock X-Maxx jumps and handles quite well, yet our P-L upgraded truck was even better. The shock upgrade definitely allowed our Bash Crew to push our truck even harder, while still maintaining full control (most of the time! LOL). 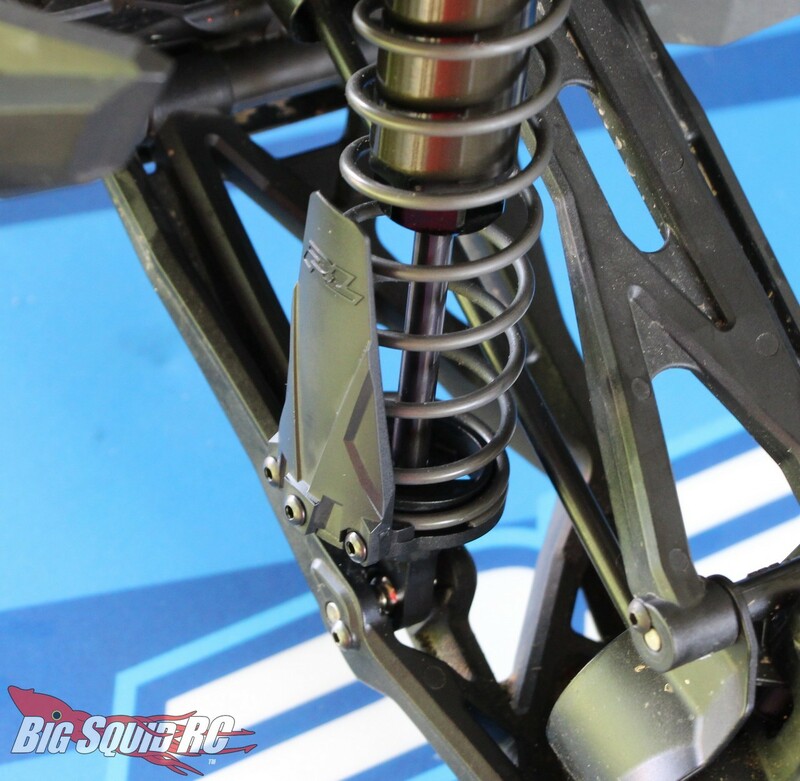 Durability- One of the things that we break the most often on a stock X-Maxx is its shock shafts. We’ve been torture testing the Pro-Line shock upgrade for a couple months now and have yet to break, bend, or tweak a shaft. Considering the amount of stupidity that our Bash Crew engages in, we are pretty amazed at how well they have held up. Final Verdict- The Pro-Line Heavy Duty PowerStroke Shock Shafts are easy to install and made a big difference in the capability of our X-Maxx. Not only did the suspension work better, they also looked incredibly trick (like a full-on factory team upgrade) and were much more durable than the stock units. 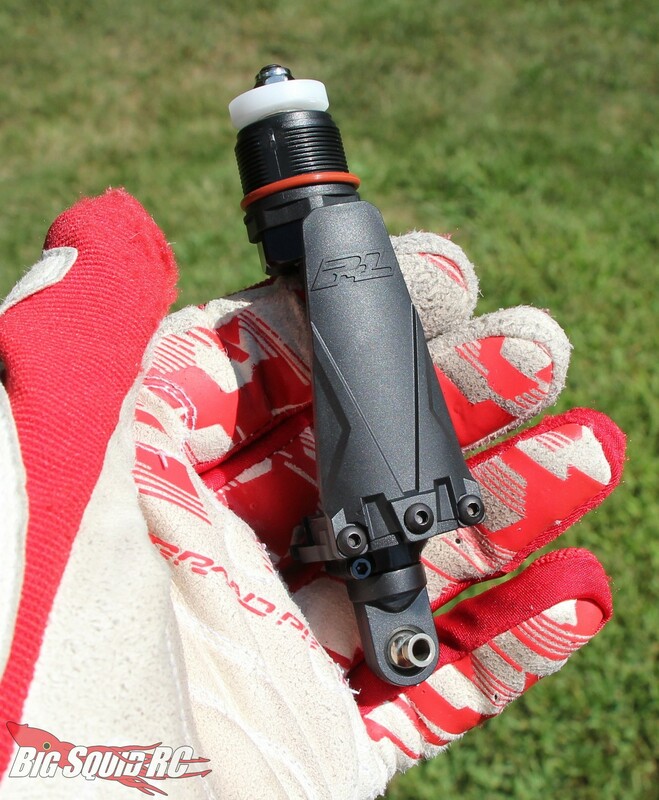 If you only do casual backyard bashing, the stock shock shafts are more than enough. 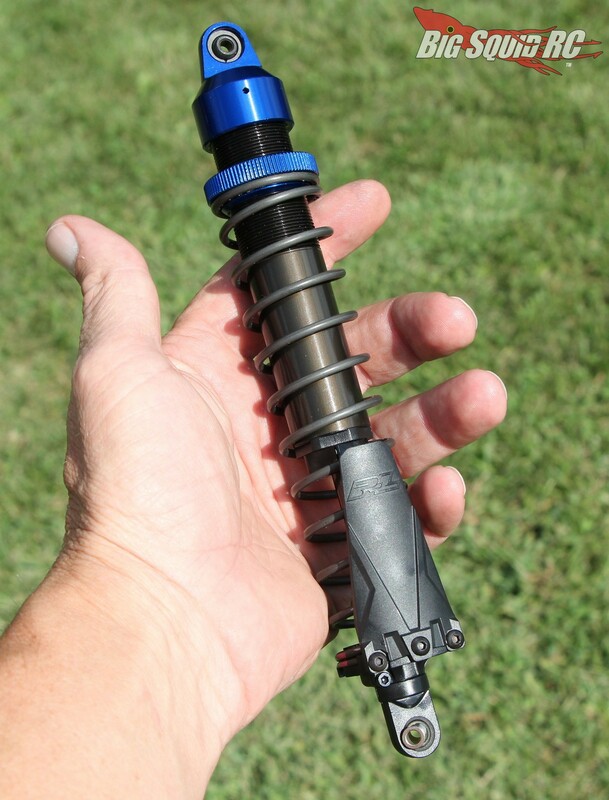 However, if you are anything like us, and we know you are if you are reading our website, then we consider the P-L shock shafts to be one of those “must have” upgrades. If you “extreme” bash your X-Maxx, the Pro-Line set-up is well worth every penny (and then some).